Chinese online travel website company eLong Inc. reported its unaudited financial results for the fourth quarter and full year ended December 31, 2009. Total revenues at eLong.com for the fourth quarter increased 18% year-on-year to CNY106.9 million and net revenues increased 18% year-on-year to CNY100.9 million. Operating income in the fourth quarter was CNY2.4 million compared to operating loss of CNY10.3 million in the prior year period. 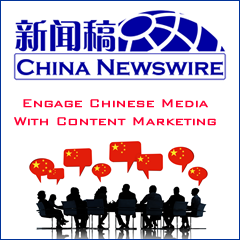 Net income in the fourth quarter was CNY1.0 million compared to net loss of CNY8.2 million in the prior year period. Total revenues in 2009 increased 9% year-on-year to CNY379.5 million and net revenues increased 9% year-on-year to CNY357.9 million. Net income in 2009 was CNY19.9 million compared to net loss of CNY76.6 million in the prior year. "The China State Council has made the travel industry a priority sector of the Chinese economy, which we believe improves the opportunities for eLong. Starting in 2010, we have quickened the pace of our product and service expansion and upgrades," stated Guangfu Cui, CEO of eLong. "We launched dynamic packages, so that consumers can book hotel rooms and air tickets together as a package in order to save time and money. We have now contracted more than 10,000 domestic hotels and also offer over 100,000 hotels worldwide by connecting to Expedia, making eLong the largest online distributor in China in terms of hotels offered. And we upgraded our online international air booking technology in order to make booking international tickets on eLong as easy as booking domestic tickets." eLong currently expects net revenues for the first quarter of 2010 to be within the range of CNY 86 million to CNY93 million, equal to an increase of 10% to 20% compared to the first quarter of 2009. I am student from Bangladesh study in Korea. I want to go Bangladesh(Dhaka) on August 09 and come back next month September 05, 2011. Kindly write the rate and Air name. I am waiting for your E-mail.